Flamborough – September 2011 // I had planned to try the bike route south from Aberfoyle’s GO bus stop for quite some time now… four years actually. I had checked it out by Jeep two years ago when I added the destination to BikesandTransit.com. It just always seemed too much trouble to travel west, transfer buses, and head west some more – it must take all day to get to Aberfoyle from Toronto, no? Surprised was I! Dumfounded actually, once I gave the day trip a try. With my teen daughter on the last Friday of the summer holidays, we caught GO bus #21 Milton at the Yonge and Front St. bus terminal. 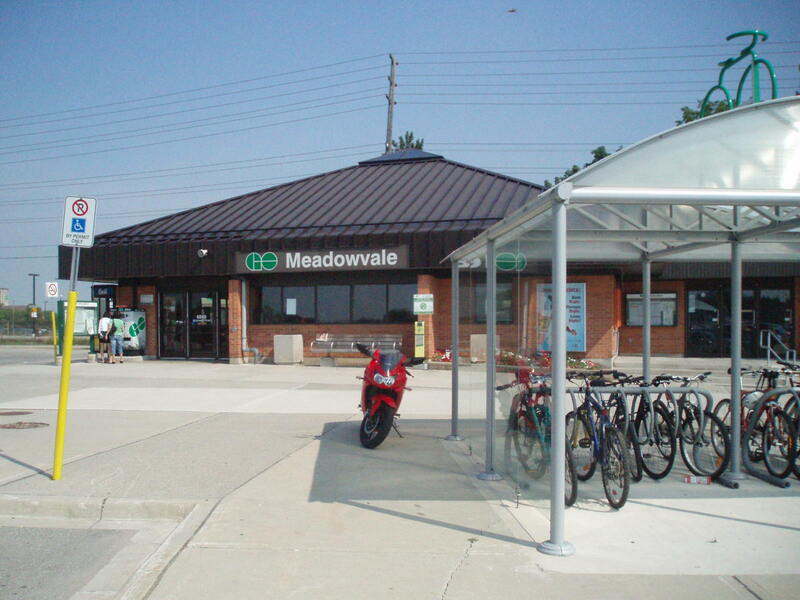 Onboard the bus at 10:20am with a transfer to GO bus #48 U of Guelph at Meadowvale… and almost suddenly, we were standing with bikes and belongings, at the Aberfoyle ‘Park n’ Ride’ at 11:55. Not a hard way to start the day. The GO bus drivers were excellent as usual. There were three bikes to start with and only two spaces on the bike rack. No problem – the driver jumped out and opened the luggage bay beneath the bus for my daughter’s bike. Note to travellers: Always talk it up with the driver. Ontario’s a bit confusing, so tell them where you’re going, and that you’ll be transferring to the Aberfoyle bus at Meadowvale. 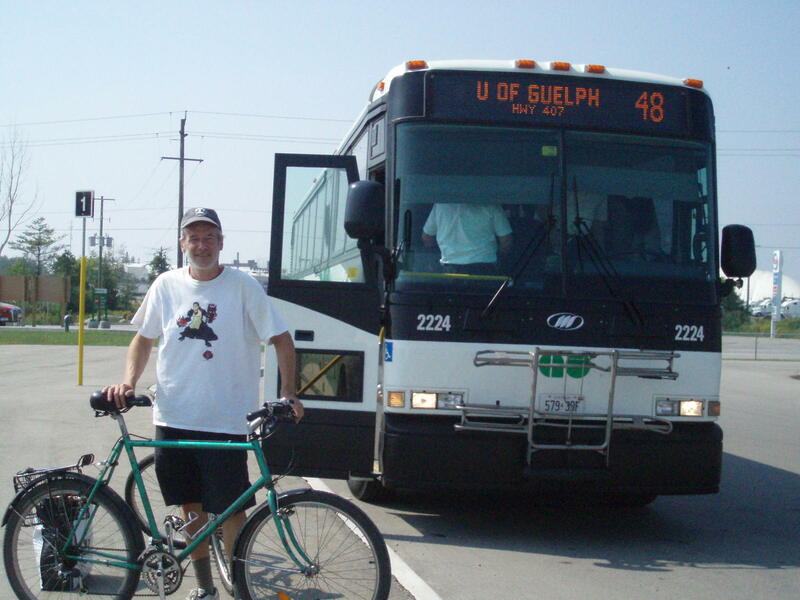 On this trip the Milton driver called ahead to make sure the Aberfoyle/U of Guelph bus waited for us to arrive. 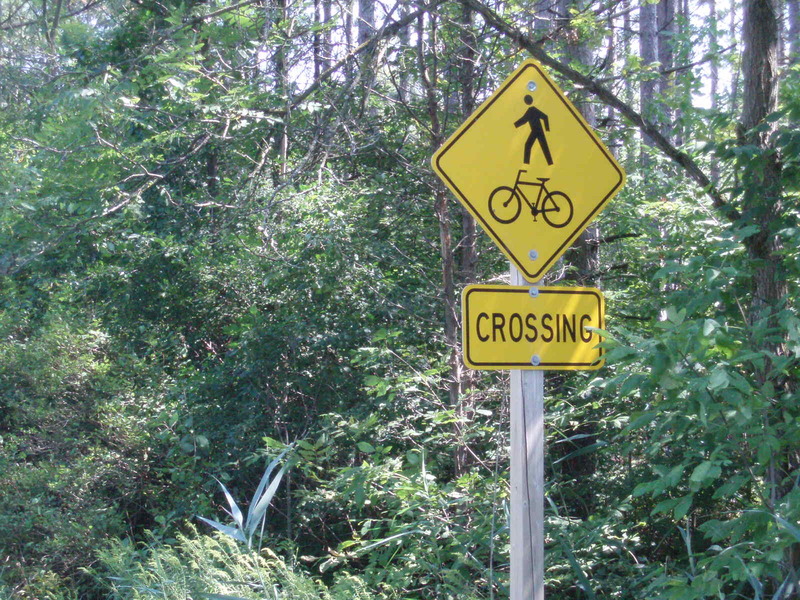 Riders need to exercise caution the first kilometre or two at the start of this ride. From the Aberfoyle GO bus stop: Always travel west on McLean Rd. to Concession 7 (north or south on Highway #6 is very dangerous; eastward on McLean is a dead end). 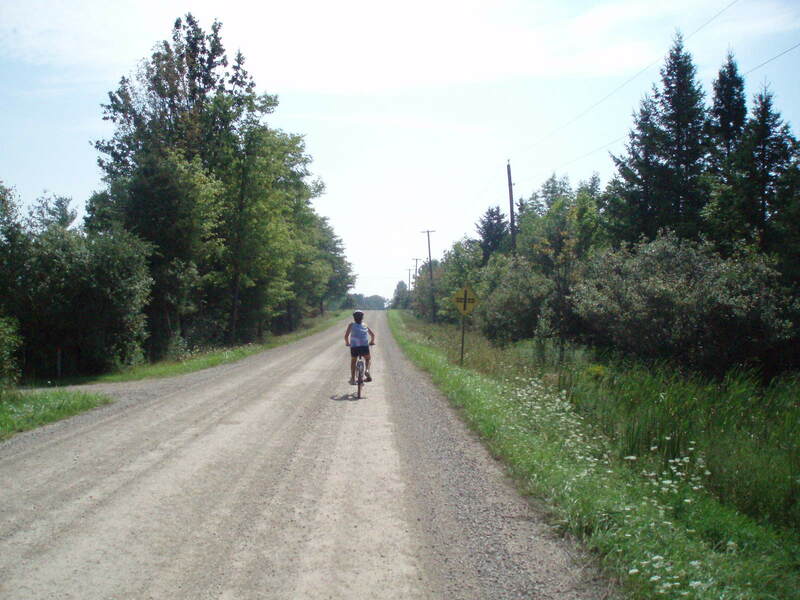 Watch out for rambling gravel trucks on McLean – you’re in quarry country. Best wave/signal to any passing trucks to slow and pull out to pass you. Once you turn south and cross the 401 the trucks are mostly gone, with only slight traffic all the way to Gore Rd. 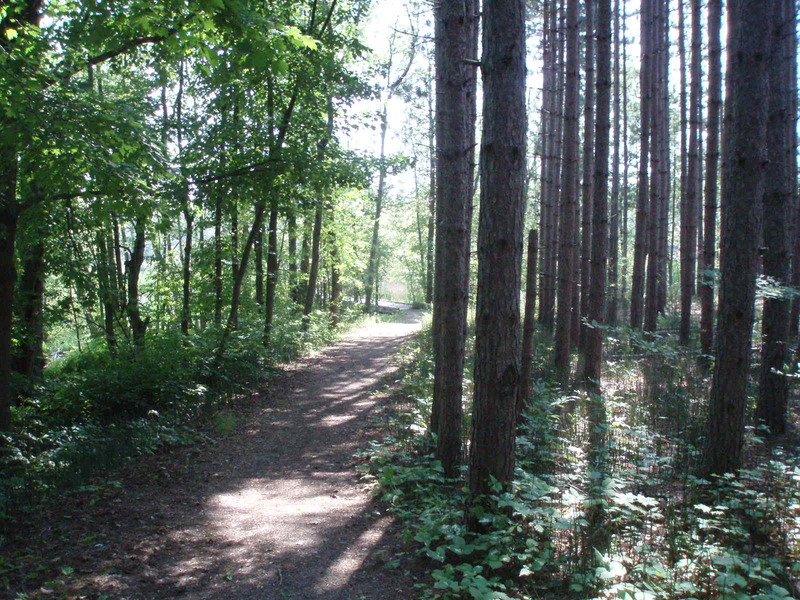 and east to the Lafarge Trail. 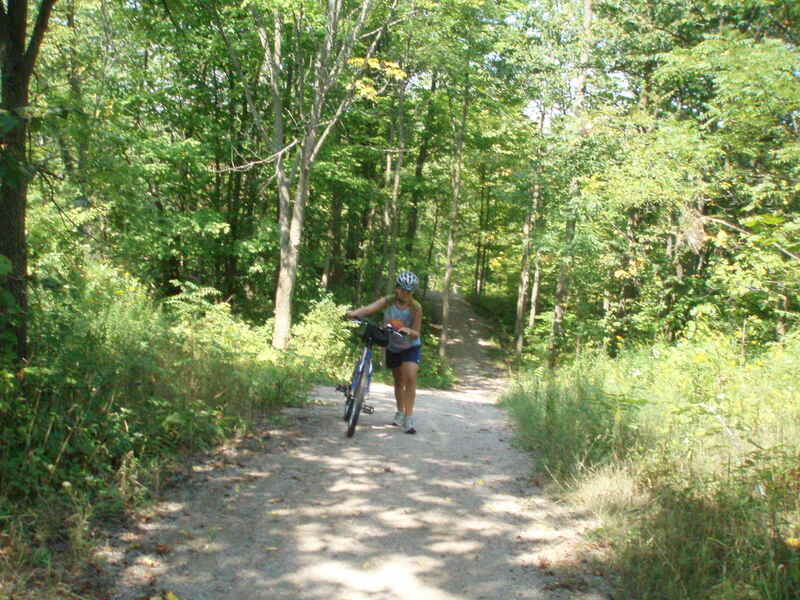 Following the trusty Hamilton Bike Map, you’d think the Lafarge Trail was straight and flat… but no… it’s up and down, up and down… and up and down… But, you do learn a new word: “drumlin”. A small, steep hill gathered together by the passing ice age. “Upside teaspoons” they were described as on the trailside plaque. My daughter seemed to do fine on the drumlins. We mostly walked up because they are steep, and walked down because the rain had loosened the gravel on most descents. It was all worth the sweat for sure; each valley offered an amazing trek through Carolinian Forest (interesting, even for a ‘teen’); each hilltop was a walk up to a wonderful panoramic view, and a bench to rest. The 10 kilometres of “drumlins” are the hardest part of the day. Overall the 60 kilometre ride is quite flat and easy. 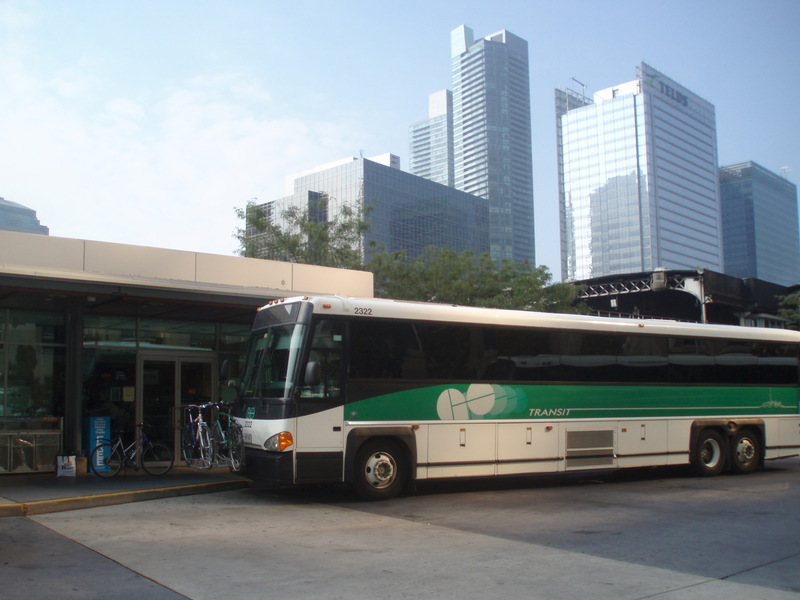 To really enjoy the ride, catch an earlier bus at 7:20 or 8:20 in downtown Toronto – and stretch the day out. Catch the GO train home at 7:04pm or 8:04pm at Aldershot, just before the sun sets. 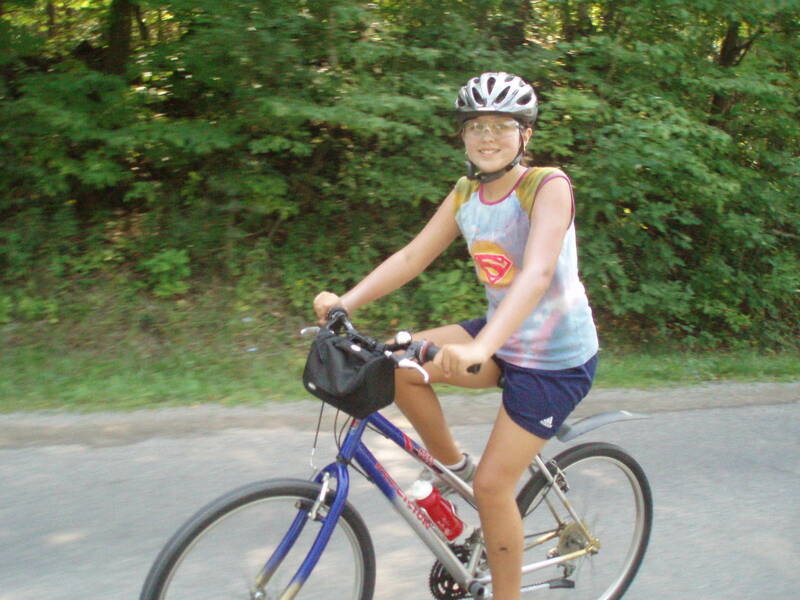 The Lafarge Trail turns to asphalt and then to Middletown Rd. south to Christie Corner. It’s a great ride through horse country. The asphalt is very good all the way. Look out for traffic when you turn east on Highway #8 to Crooks Hollow and Harvest Rd. From there to Aldershot the roads snake – and most drivers are keen to slow down to pass you, but keep alert. Here’s a map from the City of Hamilton laying out the route from Middletown Rd. 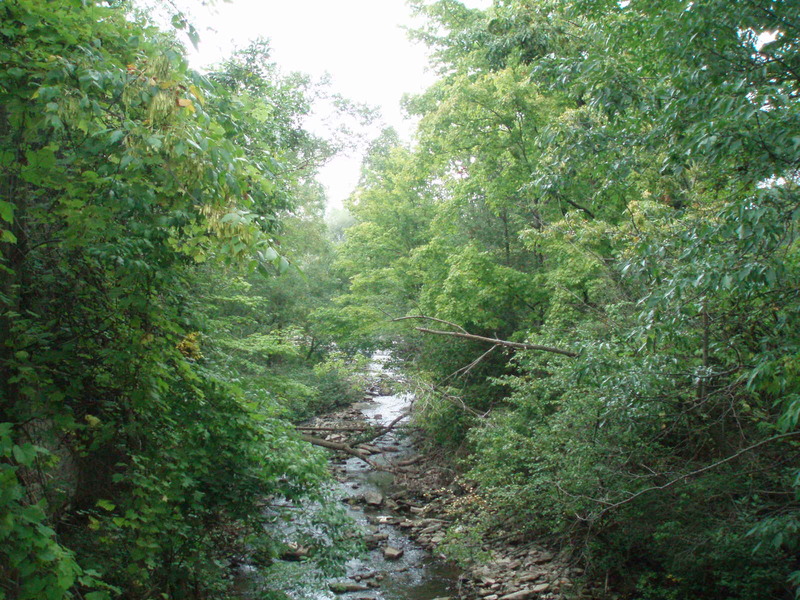 to Waterdown, #2 ‘The Falls Run’. 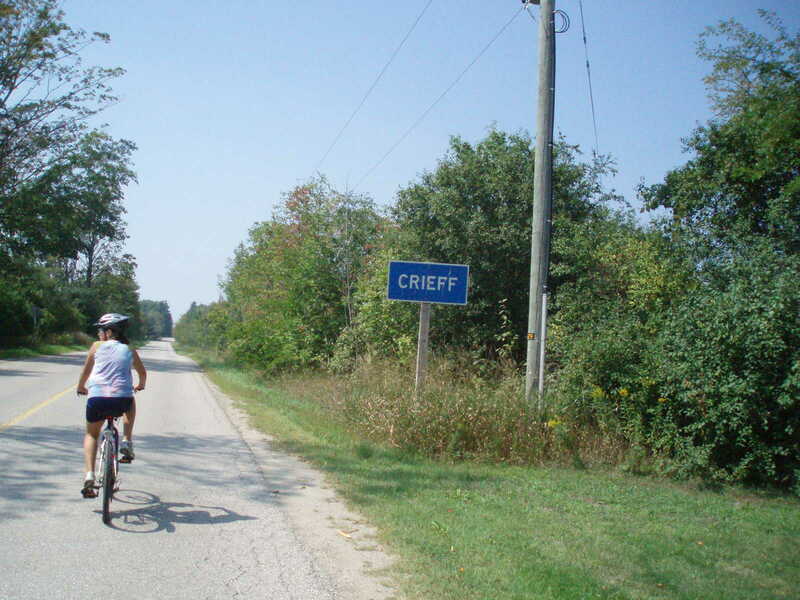 As you ride east, keep your eyes open for the gorges on your right: Spencer Gorge, Webster’s Falls and Borer’s Falls. If you have time to stop, do park your bike and hike down to get a closer view. As much as you’ll be checking over your left shoulder for traffic, be sure to keep an eye out over your right shoulder for some brief but great views of Burlington and Hamilton. 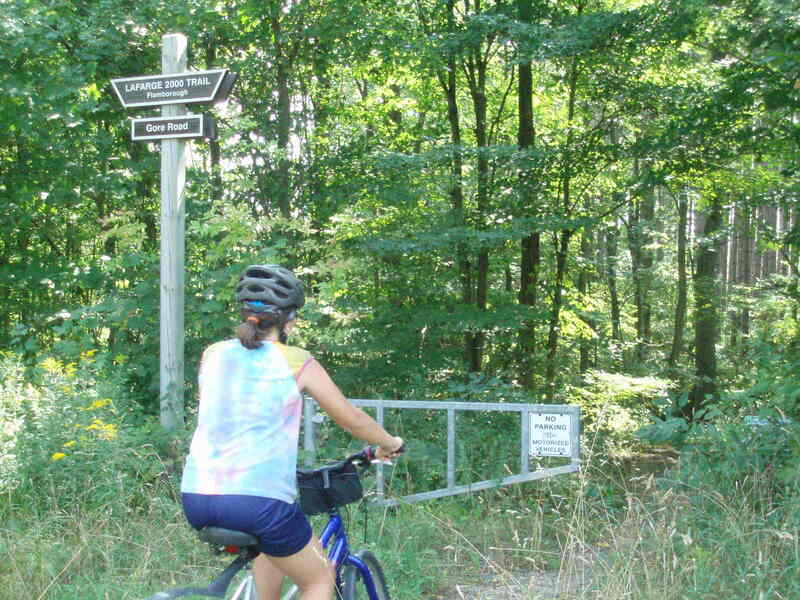 Be sure to bring plenty to eat and drink with you on this bikes and transit route. There is absolutely no store, market or gas station in the first 40 kilometres, then only a gas station at Highway #5 and a corner store at Rock Chapel. For bikes and transit day trips I have one collapsible rear basket, with a strong-handled shopping bag inside for food, extra water, change of clothes and pump. My handlebar bag carries tools, bug spray, camera and snacks. Pack light so you can simply slip everything off your bike and into the shopping bag when getting on the bus or going upstairs on the GO train. Secure your bike basket with a twist tie if it’s collapsible. 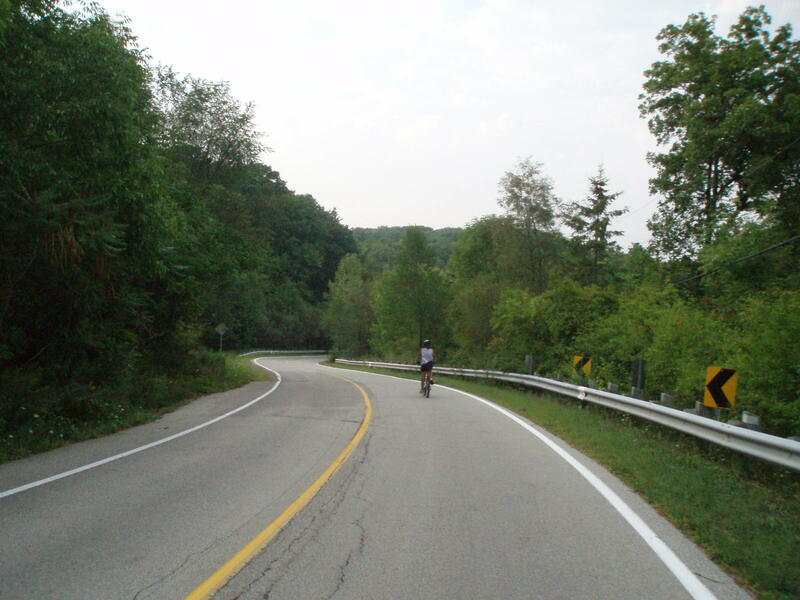 This last 20 kilometre stretch, east along the north side of the Niagara Escarpment to Waterdown, is really historic, memorable, and quite bike friendly. My daughter and I passed through on a Friday afternoon at the height of rush hour, yet were only passed by some six to ten cars. 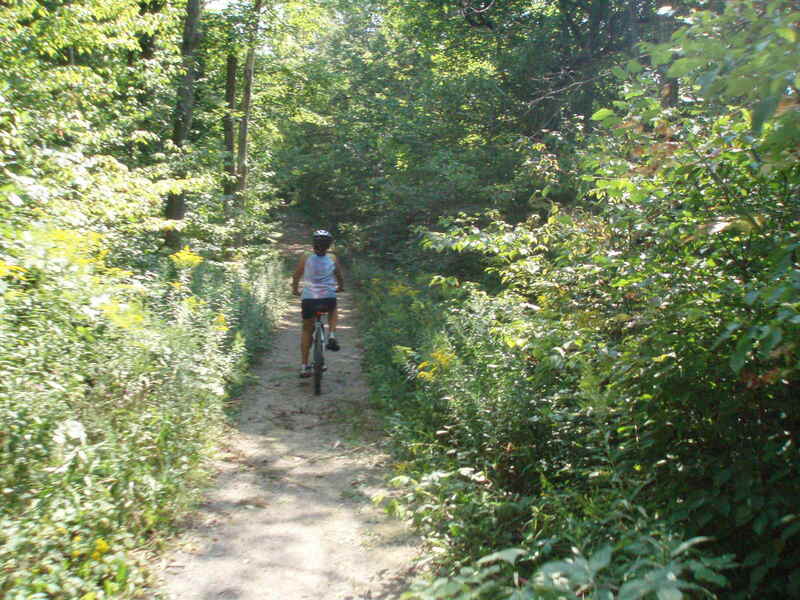 Enjoy twisty Old Guelph, Old York and Snake Roads. They’re all quite flat and pleasant. There’s a little uphill on Snake Rd. as you approach Waterdown. Head up to Highway #5 to visit their historic downtown and main street. If you make good time, enjoy dinner in Waterdown before heading south to the GO train at Aldershot. Bring a suitable dry change of shirt for the air-conditioned restaurant and train. Arrive at the train ten or so minutes beforehand. And have fun… the last part of the route’s a doozy! Take Main St. south to Waterdown Rd. down, down, down to the GO and VIA station just over Highway #403. It takes all of five minutes… even with your brakes on! 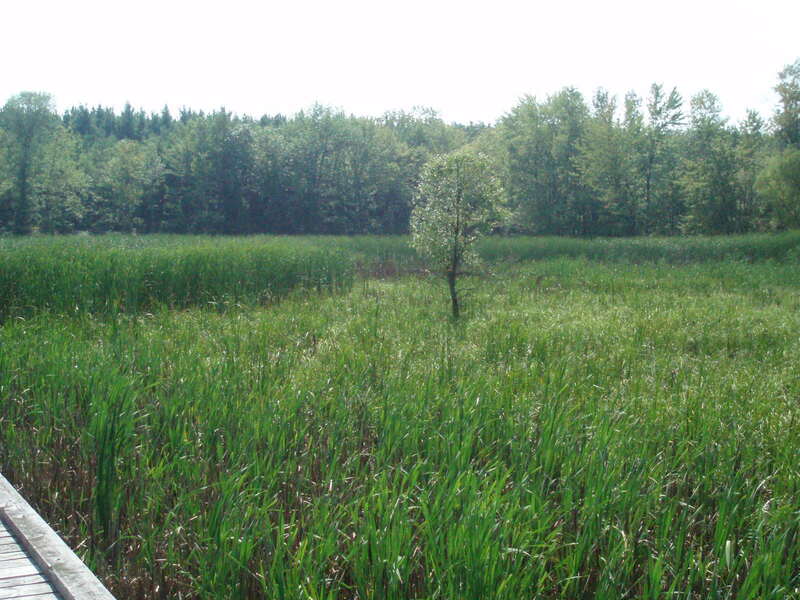 Aberfoyle to Aldershot, by bikes and transit… What a great day… What a great daytrip!